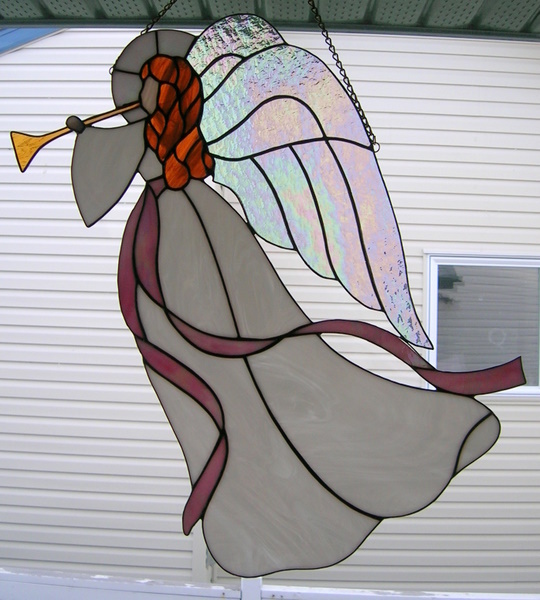 We made some of these angels a number of years ago and they were for a happy occasion. 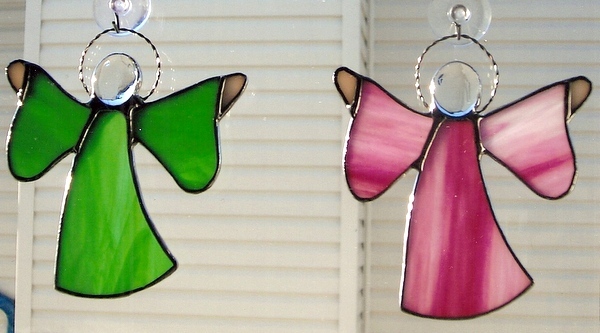 Over the years we have made many different angels with a wide variety of colors including birthstone colors. 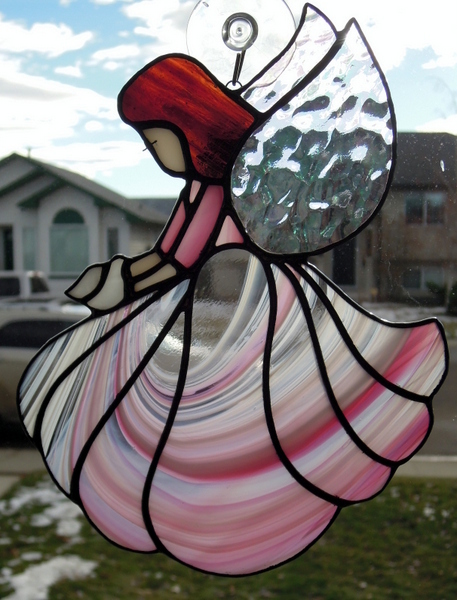 This Dove Angel’s dress was made from one piece of Spectrum’s Peppermint Pink Baroque Glass. You will notice that the glass matches across the pieces, it is tricky glass cutting and some of it is cut using our Taurus Ring ring saw. 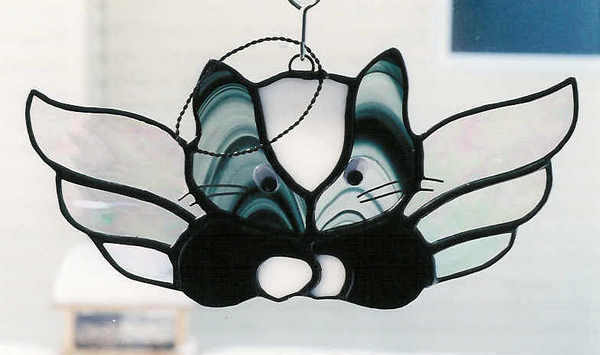 If we break a piece when cutting or crack a piece when soldering, then we start all over with another piece of glass. This angel measures approximately 7 inches wide by 9 inches high. 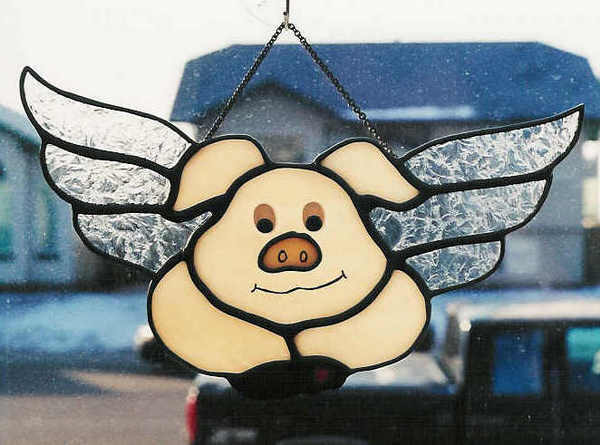 Our pig angel compliments our cow angel for those who enjoy farm animals, here again we used Wiggle Eyes for that whimsical expression.